Top rules you need to follow for indie musicians! Here is a short list of things you should not overlook if you are trying to get a serious career in music. 1. Always have business cards. You never know who you will meet that can help you along in the music industry. Plus you never know where you will meet them. 2. Always carry a few copies of your CD in your car. Again, you never know who you will meet! Going on vacation? Put some CD's in your suitcase. 3. Always get out to local shows and mingle with other musicians. This helps get your name out within the local scene. 4. Try and do at least 1 show a month. This is a minimum. The more shows you do in different clubs, the more fans you will get. 5. Have a professional website. Do not just have a Myspace page. Get a personal website done that has links to your music for sale on sites like itunes,Amazon and more. 6. Get to know your local Deejays at major and college radio stations. Go out and meet these guys and they may remember you and help you in the future. 7. Get a really good looking bio and press kit together. This means do a real photo shoot with a professional photographer and print up a bio that is short and to the point. 8. Always act courteous to the local press and never burn bridges. If a newspaper gives you a bad review, accept it and send them a thank you note. Constructive criticism is a part of life. 9. Learn everything you can about the business side of music. 10. 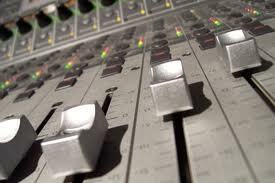 Get your music professionally mixed and mastered! People can tell if your vocals are not loud enough in a song. Get it done right. They are huge internet radio networks!